George Alan Williams, 68, of New Martinsville, WV died Tuesday, September 25, 2018 at his home. George was born May 30, 1950 in Charleston, WV; son of Wanda Jean (Comer) Williams of New Martinsville, WV and the late George F. Williams. 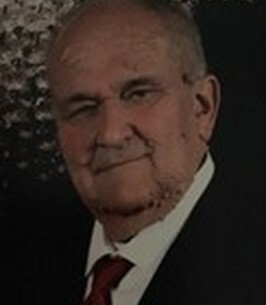 He was a retired glass finisher for Corning World Kitchen, he loved reading, hunting, visiting Myrtle Beach and the outdoors; he appreciated cars of every style and he was a Baptist by faith. Surviving in addition to his mother; brother, Bill (Lori Carpenter) Williams of New Martinsville, WV; three sisters, Becky (Greg) Swords of Wheeling, WV, Teresa (William) Thorn and Judy (Wayne) Mason both of New Martinsville, WV and several nieces, nephews and cousins. At George’s request services will be private and held at the convenience of the family. Arrangements entrusted to Jarvis-Williams Funeral Home in New Martinsville. Memorial contributions may be made, in George’s name, to New Martinsville Public Library, 160 Washington St., New Martinsville, WV 26155. To send flowers to the family of George Alan Williams, please visit our Heartfelt Sympathies Store. Sorry to hear about George. I am sure everyone close to him will miss him. Even though I never met him, I am of the same age as he and we both have the same great grandfather. There are no words to describe what we are feeling or what George meant to us. We love each of you and are here if you need us. Thoughts and prayers are with you all during this time of loss. So sorry to hear of his passing. God bless. I'm so sorry to hear of your loss. I have several great memories with each of you and your families. So very sorry. George was the best neighbor anyone could ever ask for. I am so very sorry to hear of George's passing. He was always such a nice man and will be missed. So sorry to hear of this. Prayers for all of you. I am saddened to hear of George's passing. Strength and comfort for the family.